NEW : Book online and benefit advantages of our customer card ! 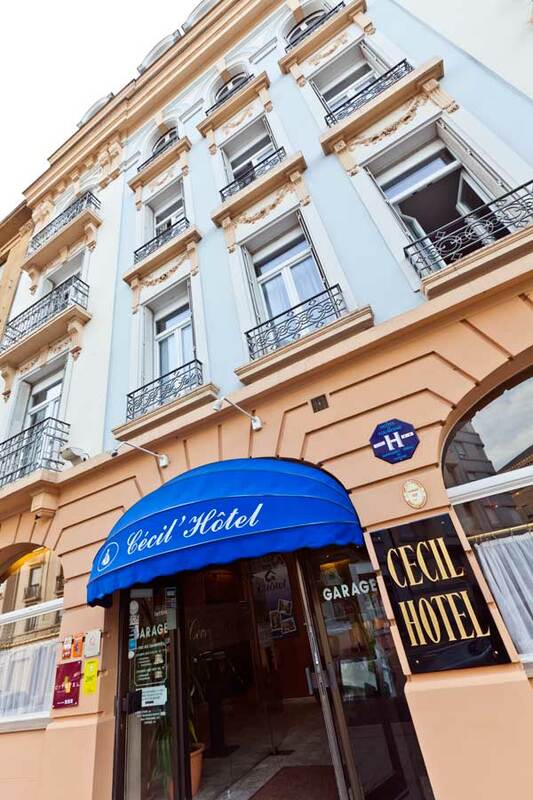 Your stay at a soft rate in 2014: enter your promotional code "RED2014"
The Cecil'Hotel welcomes you downtown in Metz, a City of Lorraine to be discovered. Located a few minutes' walk from the city train station, our hotel is the ideal starting spot to visit downtown. Throughout the centuries, alternatively German and French, the city offers a great variety in its archeological and cultural heritage : the pedestrian quarter full with shops and boutiques, Saint-Etienne gothic cathedral and the Chagall stained-glass windows, parks and gardens, concerts halls and museums will make of your stay in Metz a great memory. 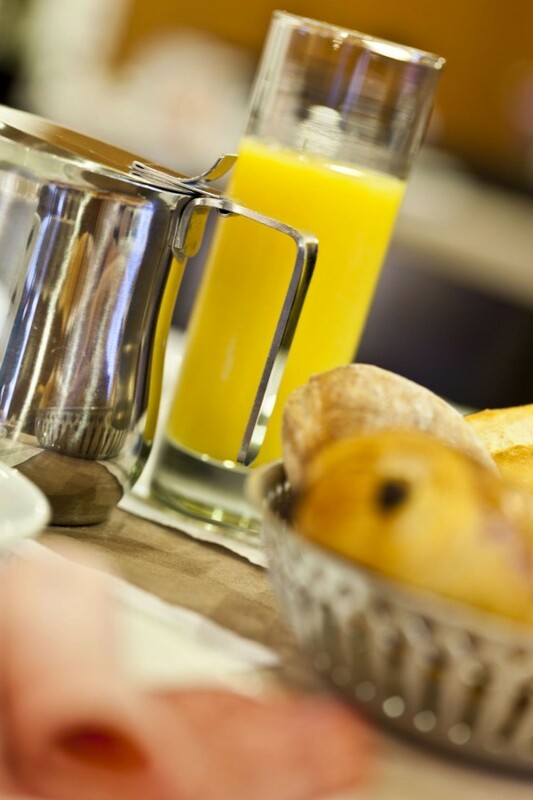 Our hotel of 39 bedrooms, most of them have been recently refurbished in a sophisticated and peaceful atmosphere. A fine contemporary decor and modern facilities will make your stay comfortable and wonderful. 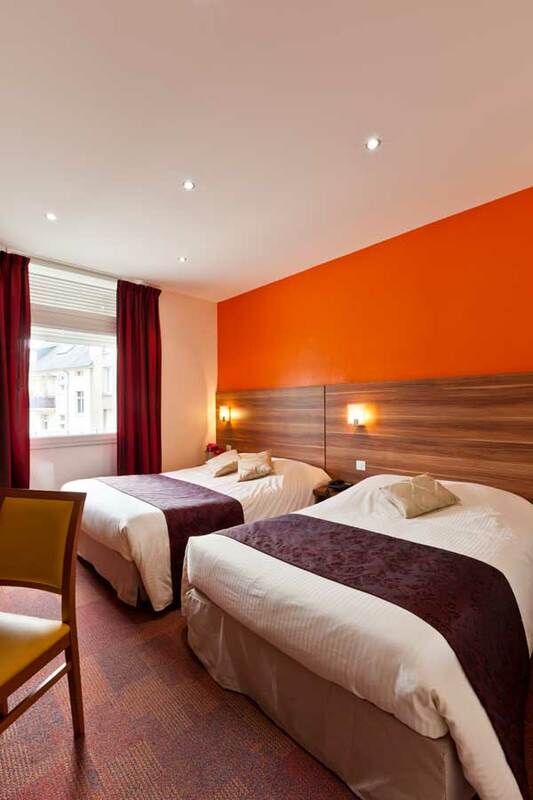 The good value for money makes of the Cecil'Hotel The address for your travel in Lorraine . We also offer Business Package as well as special rates for private trips (from 2-day stay).At the center of an important road network connected with A31 and A4 motorways, the location of Metz is ideal for the discovery from East to West and North to South and above the frontiers. After wandering along the Moselle river Banks or in the historic quarter of the city, come and have a rest at the hotel bar or in our lounge and our staff will be pleased to inform you all along your stay.